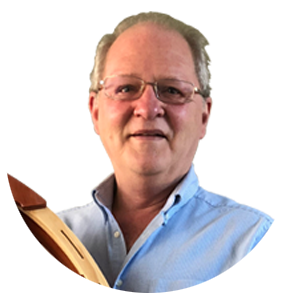 I’m Michael Tyler and for the last 7 years I have been creating Vectric’s Free monthly projects. I’ve made everything from spring wreaths and mantle clocks to snow sledges and cheeseboards. Did you know there are already 83 projects free for Vectric customers to take advantage of and we’re working on more every month! Each project comes with the file(s) for you to download, along with a PDF document that highlights some of the key important steps to help you get through your project. Plus all new 2018 free projects come with their own video that tells the story of the project from start to finish. 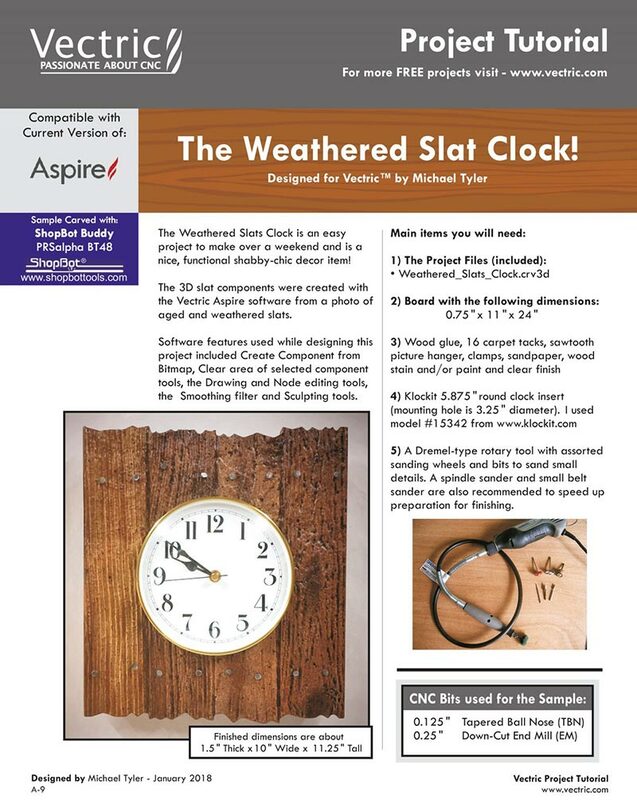 The weathered slats clock is an easy project to make over a weekend and is a nice, functional shabby – chic decor item! the 3D slat components were created with the Vectric Aspire software from a photo of aged and weathered slats. Software features used while designing this project included create component from bitmap, clear area of selected component tools, the drawing and node editing tools, the smoothing filter and sculpting tools.